TierraCast Wavy Textured Disk. These disks are curved to create a wavy effect. 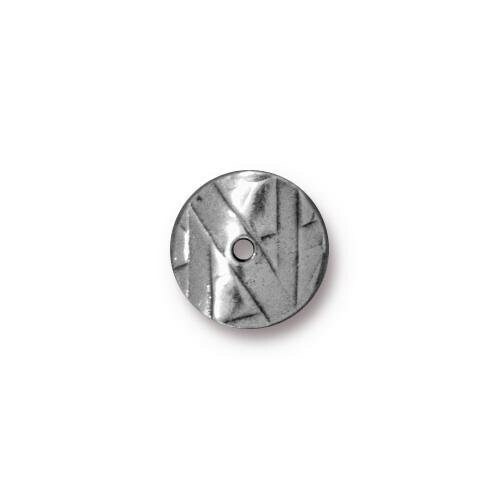 The surface of the bead features a geometric design of lines and triangles. Can be used as spacers or bead caps. Material: Pewter Ox plated pewter.